Using a screwdriver, detach the 10 claws and remove the scuff plate. Using a screwdriver, detach the 3 claws and remove the trim board. Using a clip remover, detach the 2 clips. 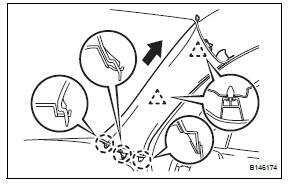 Pull the garnish in the direction indicated by the arrow in the illustration to detach the 3 claws. 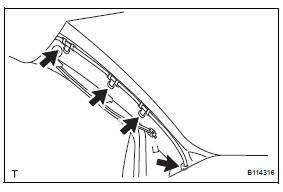 Pull the pillar garnish so that the base of the 2 clips labeled a detach. Then pull until the tips of the 2 clips labeled a lock in the pillar garnish's holes. 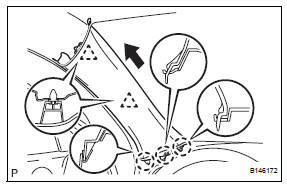 Using needle-nose pliers, rotate the 2 clips labeled a 90°. Then pull the pillar garnish to release the tips of the 2 clips labeled a from the pillar garnish. 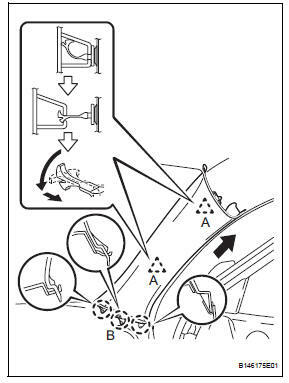 Pull the pillar garnish in the direction indicated by the arrow in the illustration to detach the 3 claws labeled b. 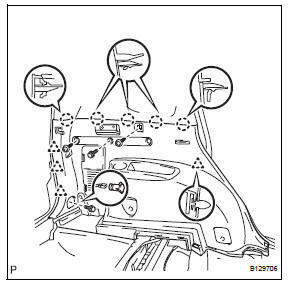 Remove the 2 clips labeled a from the vehicle body. 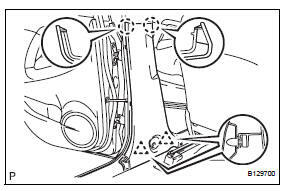 Using a clip remover, remove the 4 wiring harness clamps. 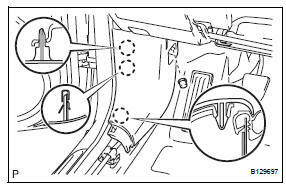 Thoroughly cover the airbag with cloth or nylon of 700 mm (27.56 In.) X 120 mm (4.72 In.) 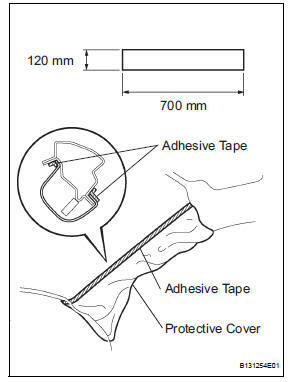 And fix the ends of the cover with adhesive tape, as shown in the illustration. 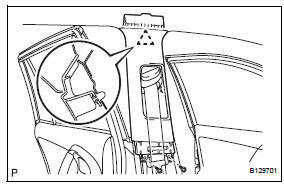 Cover the curtain shield airbag with a protective cover as soon as the front pillar garnish is removed. Disconnect the front seat outer belt's floor anchor. 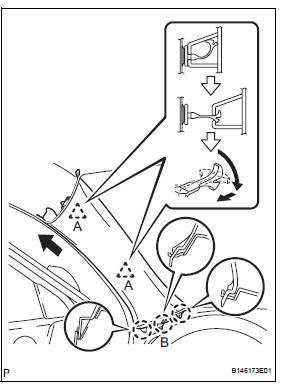 Remove the bolt and disconnect the floor anchor. 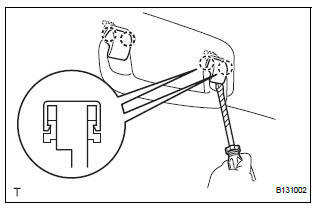 Using a screwdriver, detach the 2 claws. Using a clip remover, detach the clip and remove the garnish. Using a clip remover, detach the 7 clips and remove the plate. Using a clip remover, detach the 8 clips and remove the plate. Using a clip remover, detach the 6 clips. Detach the 6 claws and remove the finish plate. 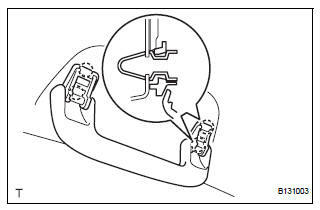 Disconnect the rear no. 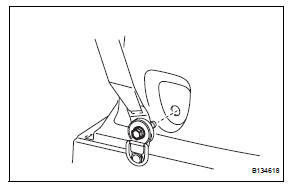 1 Seat outer belt's floor anchor. 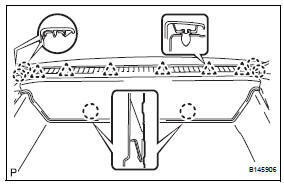 Remove the 2 screws and 2 bolts. Using a screwdriver, detach the 5 claws. Using a clip remover, detach the 4 clips and remove the trim board. 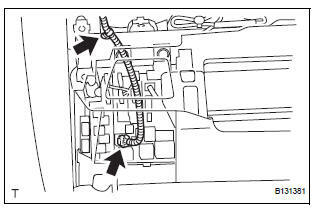 Disconnect the power outlet socket connector. 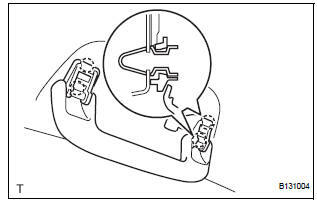 Disconnect the rear no. 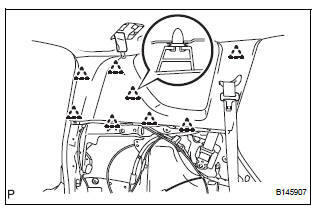 2 Seat outer belt's floor anchor. Using a clip remover, detach the 8 clips and remove the garnish. Remove the 2 screws and net hook. 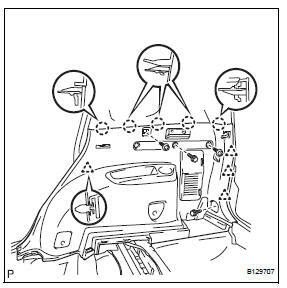 Using a screwdriver, detach the 4 claws and remove the visor bracket cover. 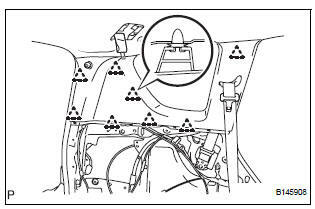 Remove portion a from the visor holder. Detach the 2 claws and remove the visor. 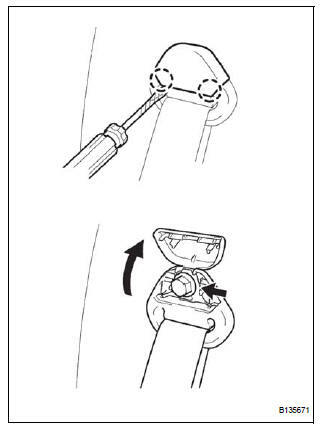 Remove the visor holder by turning it counterclockwise. Using a screwdriver, detach the 4 claws and remove the 2 assist grip covers. 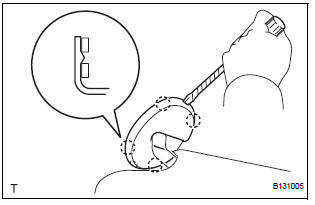 Detach the 4 claws and remove the assist grip. 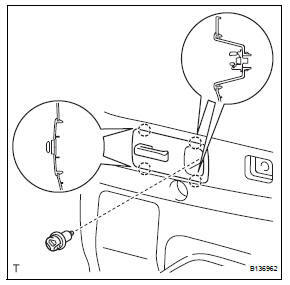 Using a screwdriver, remove the wire harness clamp. 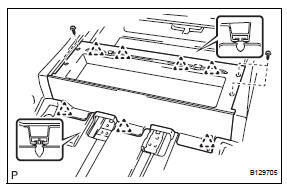 Disconnect the roof wire connector. 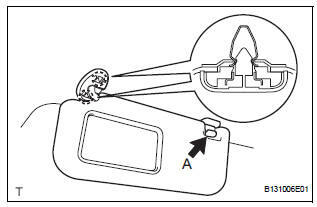 Using a clip remover, remove the 4 clips and headlining. 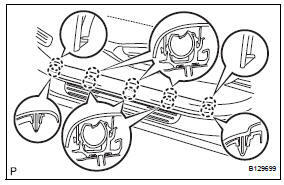 Disconnect the connector from the drive gear. 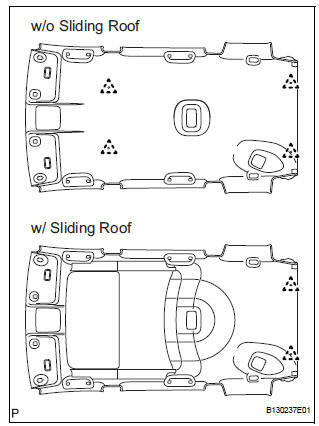 Using a clip remover, remove the 2 clips and headlining. 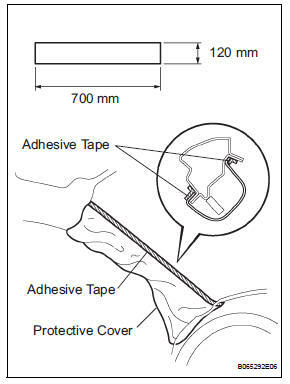 Remove the double-sided tape and roof wire. Remove the 5 silencer pads. Remove the 2 silencer pads.